Laryngoscope – This can cause damage to the upper incisors if used incorrectly. Oropharyngeal airways – This can cause damage to teeth, crowns and bridgework, if dislodge during the procedure. Jaw clamping/ Bite blocks – This device can put pressure on teeth. Oropharyngeal suction devices – This can cause patients to clamp their jaws. Dental props/mouth gags – These can cause damage to teeth, while inserting or removing the device. 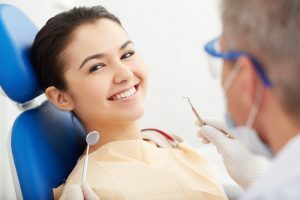 As a dentist to avoid malpractice law suits it is best to ask your patient what equipment they feel comfortable with, after discussing each items risks and benefits. It is then advisable to get written consent from each patient before embarking on the procedure. Those who have crowns, veneers, dentures of bridgework. Or those who have conditions, which mean their airway is obstructed. It is a good practice to check your patient’s teeth prior to the procedure and look for loose teeth, brittle veneers and for any signs of disease, which could increase the risk of damage.